As fancy as a MacBook. Google’s Chrome OS platform is finally exciting, thanks to the new Pixelbook. It sports a premium design that’s incredible thin and light, and powerful hardware that you won’t find in another Chromebook. It’s also compatible with the new Pixelbook Pen, which makes light work of annotating documents, finding information, and more. When you think of Chrome OS, you think of ultra-affordable laptops with disappointing designs that deliver less than stellar performance. But that’s not what you get with the Pixelbook, which is as pretty and as meticulously-designed as a MacBook. Pixelbook features a premium shell that’s super-thin and lightweight. Its convertible touchscreen allows it to be used as a laptop or a tablet, and it boasts a Quad HD resolution with 235 pixels-per-inch. It has soft-touch, backlit keys that are thinner to save space. Under the hood, Pixelbook packs the kind of components you’d expect to find in a high-end notebook, including Intel’s Core i5 and Core i7 processors, up to 16GB of RAM, and up to 512GB of storage. Some might say that’s overkill for a Chromebook, but it’s there if you want it. The Google Assistant is also built-in, and there’s full support for the Google Play Store. Pixelbook’s battery lasts up to 10 hours in between charges, and when you’re in a hurry, you can charge for just 15 minutes to enjoy two hours of use. It uses a USB-C connector and can be charged with the same adapter you’d use for a phone. Alongside its new laptop, Google is launching the Pixelbook Pen. It makes it easier to annotate documents, take screenshots of important snippets of information, and to sketch pictures. It also boasts handwriting recognition that uses machine learning for accuracy. 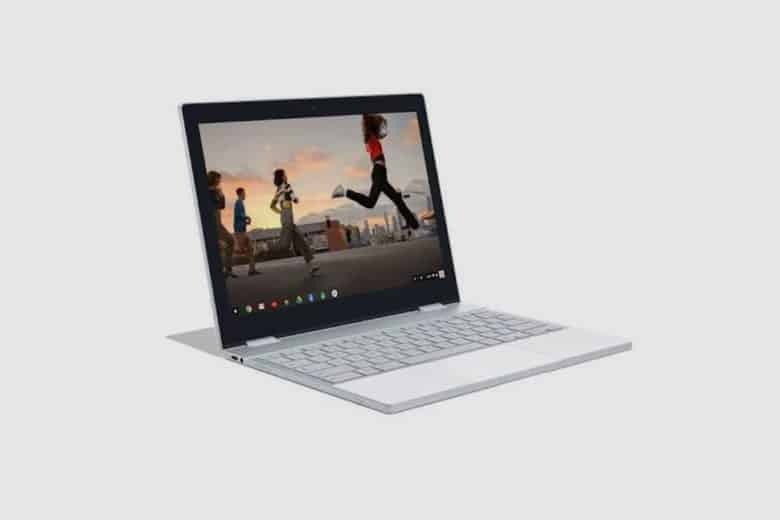 Both Pixelbook and the Pixelbook Pen are available to pre-order today ahead of their launch on October 23. Pixelbook Pen is priced at $99, while the Pixelbook starts at $999.